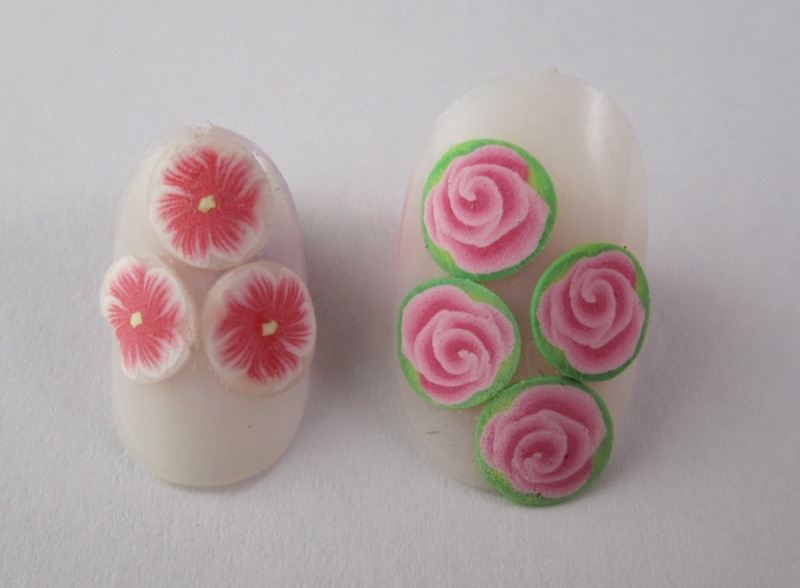 I’ve only just found out that people are using mini polymer clay canes to decorate their nails! Duh!! On the other hand, the UK often seems about five years behind the USA in terms of picking up on a lot of craft/fashion trends, so maybe it’s not surprising that not many people are doing this in the UK yet. Looking at the websites of nail salons within a ten-mile radius of where I live (near Brighton), I haven’t found any that appear to use polyclay canes. Maybe I should view that as a business opportunity, and introduce them to my canes! The only trouble is that I don’t have a clue how they are actually incorporated into the nail design, so if the nail salon staff ask me how to use the canes I won’t be able to answer. Do the nail technicians bake the canes and then take fresh slices while the canes are warm? And then do they cover the design in gel and cure it under a UV lamp? Woo – I imagine that in the hands of an expert the nails could be made to look really special. 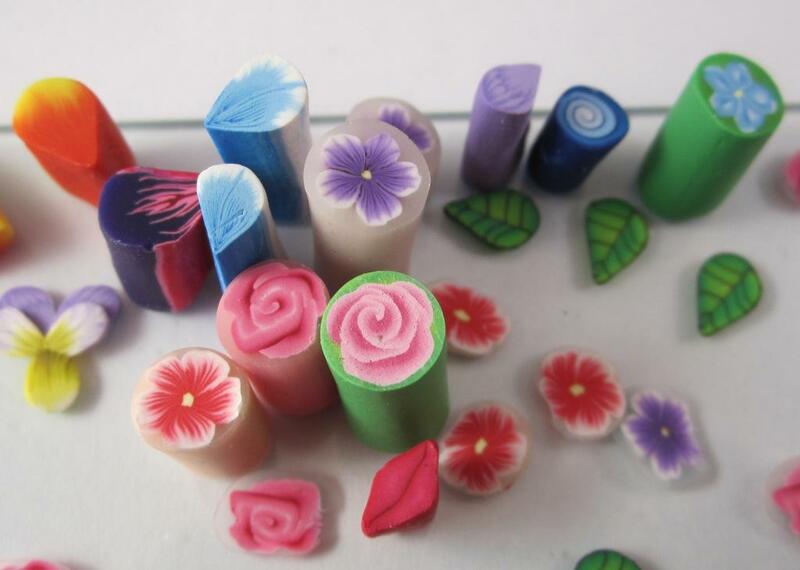 Charlene ‘Cat’ Therien (polymer clay genius) has got lots of polymer clay canes for sale, and has a page about Fimo nail art, plus another page on http://www.neoflexnailart.com/shop/. 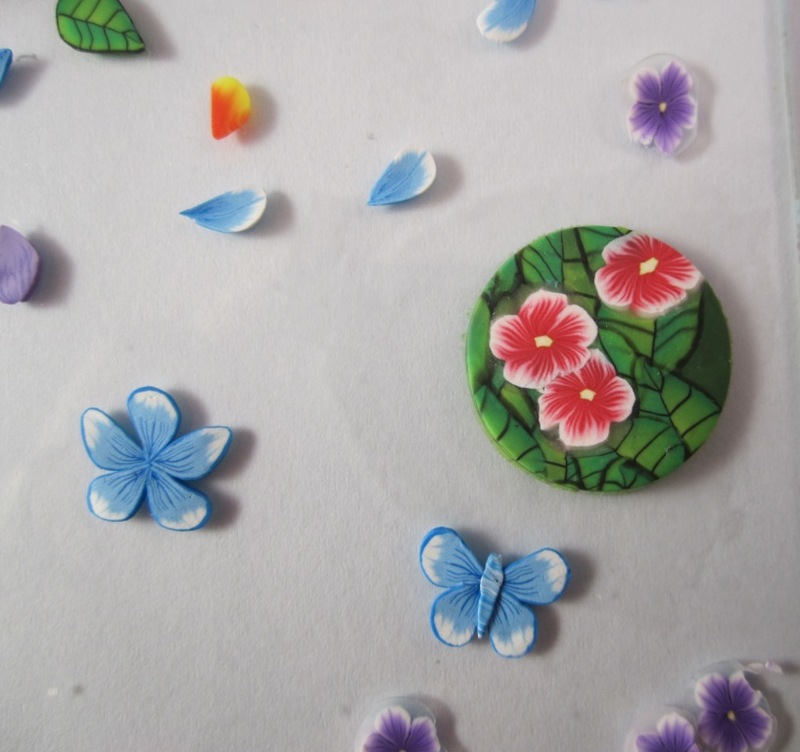 There are some more pictures of pre-made nail art here, plus an article about polymer clay nail art here. Next Next post: Etsy Here I Come! 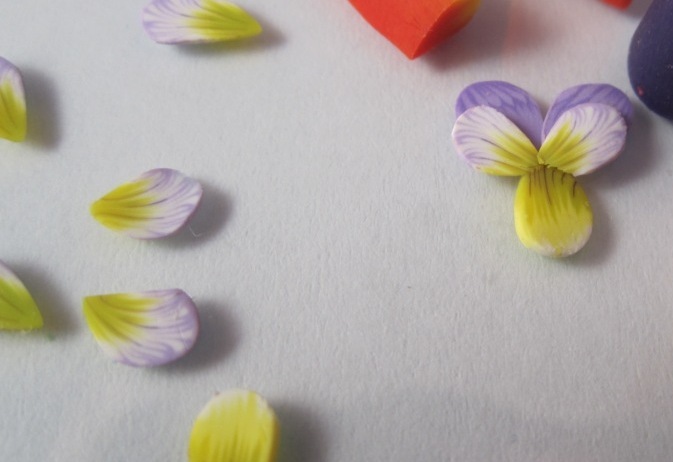 Thanks so much for linking to my pages! 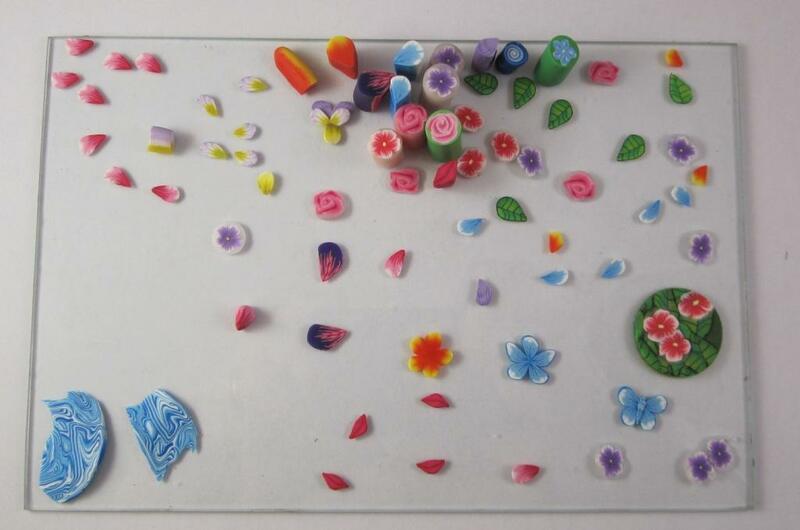 I’m glad you’ve discovered the amazing uses for miniature polymer clay canes as nail art (commonly known as “fimo nail art”, or “fimo fruities”. While it may not be popular within a 10 mile radius of you, it’s actually quite popular in Europe, Vietnam, Japan, and Central America, and seems the US is actually slow in catching the excitement over it. But over the last year and a half, a few cane makers like myself have been going to the beauty shows and debuting our artwork so that nail technicians can see what the buzz is all about. 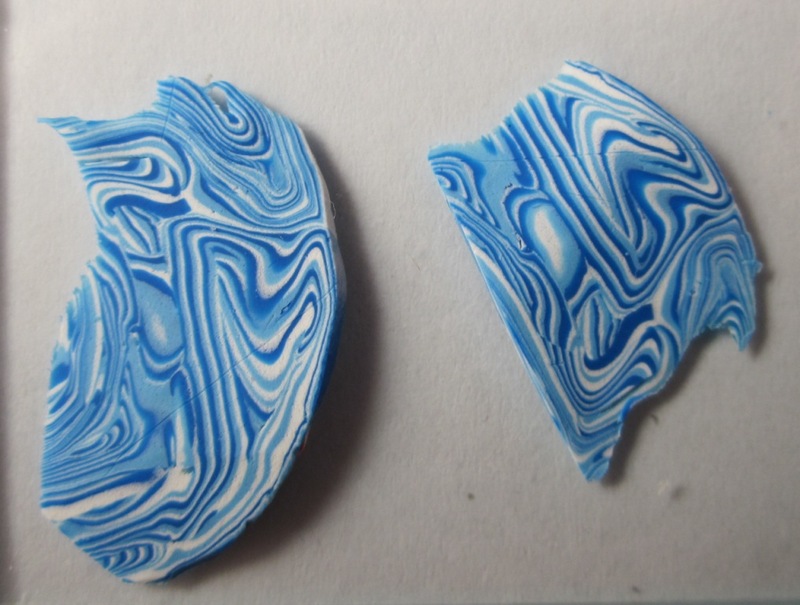 To answer your curiosity about embedding fimo slices in nail enhancements, I can give you links to two of my YouTube videos that show how to do it. I prefer using nail gel over nail acrylic, mostly because of the smell factor, and personally I think gel is easier. Thanks again, and go talk to those nail salons! Best of luck!